If you were asked what makes Cape Breton, Nova Scotia so special, you probably couldn’t sum it up with a short answer. 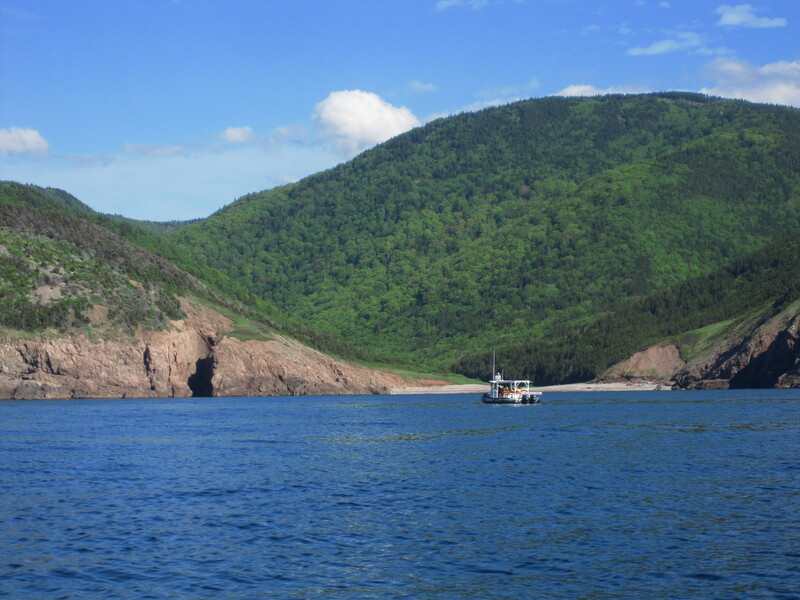 I mean think about this, National Geographic once rated Cape Breton as the 2nd most beautiful island in the world. I would have to say that is pretty remarkable considering the world is full of majestic islands. So what makes it so special? Well allow me to paint a little picture for you about this outstanding and inspiring place. For many years having been in the shadow of well known Canadian destinations such as the Rockies, Cape Breton has suddenly gained recognition amongst the global market and propelled into the international spotlight. Once you cross the Canso Causeway and leave mainland Nova Scotia behind, arriving on the island it’s like a great weight is lifted off your shoulders. Life on the island is much like turning back the clock some 50 years, when life was much more simple. When one could count on their neighbor to help with a broken down vehicle, when leaving your home unlocked was the norm, and when stopping to talk to an old friend in the grocery store was not an inconvenience to your busy schedule. 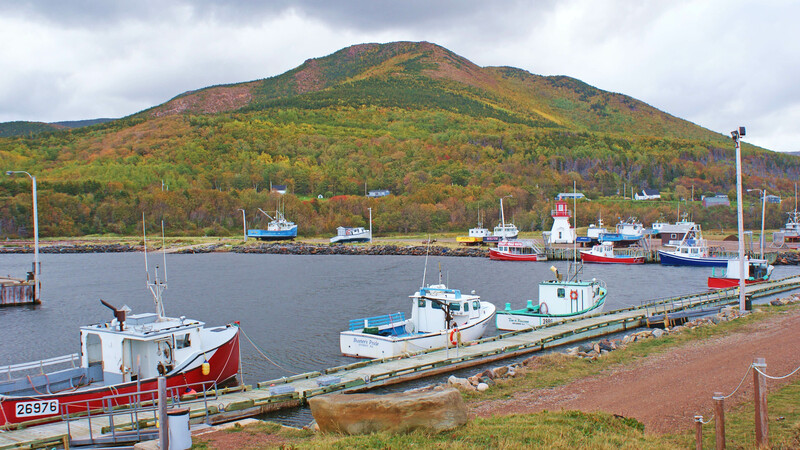 Unlike life in the big cities, Cape Breton is made up of mostly small towns and villages with the majority of the residents being blue collar workers. Not much has changed here since the golden days of mining and fishing and it’s because of this that the “Capers” or “Islanders” still enjoy a much slower pace of life and can take time to enjoy a coffee break with their dear friend or marvel in the island’s unsurpassed natural beauty. The northern part of Cape Breton is home to the Cape Breton Highlands National Park which makes up part of the world famous, Cabot Trail. What these mountains may lack in height, they certainly make up for in splendid beauty. Along the western part of the park the highlands rise straight up from the ocean to a height of 1500ft (500m). That is roughly the height of the Empire State Building. You could easily say that these are Nova Scotia’s skyscrapers. Along the coastal drive here the scenery is spectacular to say the least and the wildlife is abundant. 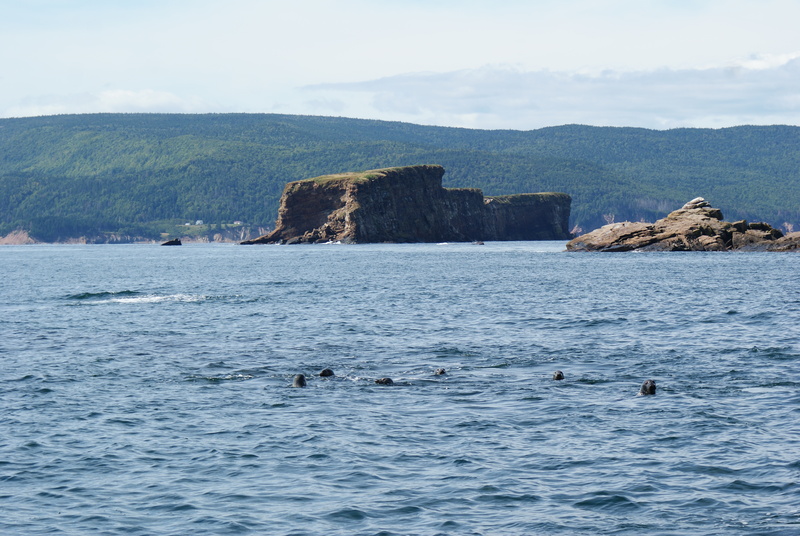 The massive but oh so graceful moose can be spotted along the skyline trail and pods of pilot whales are seen frequently swimming in the Gulf of St Lawrence. 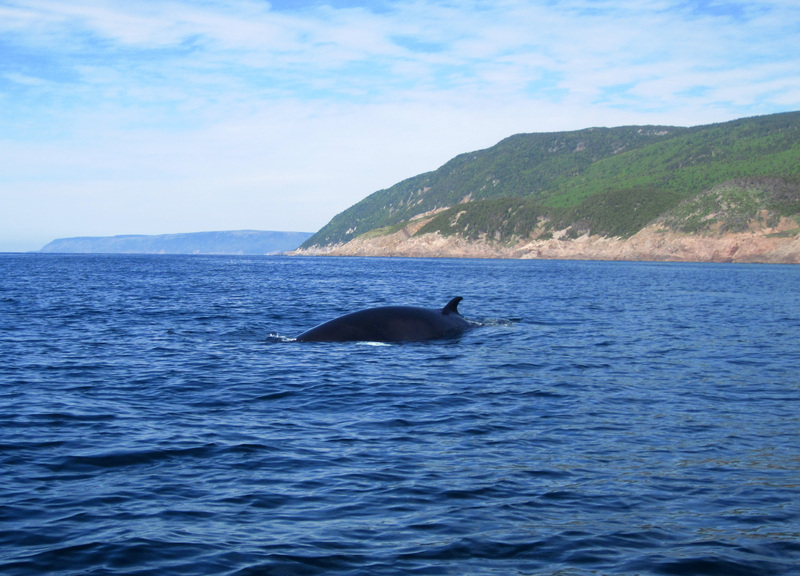 Here off the coast is one of the finest places in Canada to spot the larger species of whales. Throughout the warmer months the Gulf of St. Lawrence is a feeding ground for such whales as the Humpback, Pilot Whales, Atlantic White sided Dolphins and the 85ft (28m) Fin Whale. The worlds 2nd largest shark also has been spotted here in recent years, that title belongs to the Basking Shark which can grow to a staggering length of 38ft (12m). Not to be afraid though as this massive shark feeds off of millions of plankton as he is known as a filter feeder. 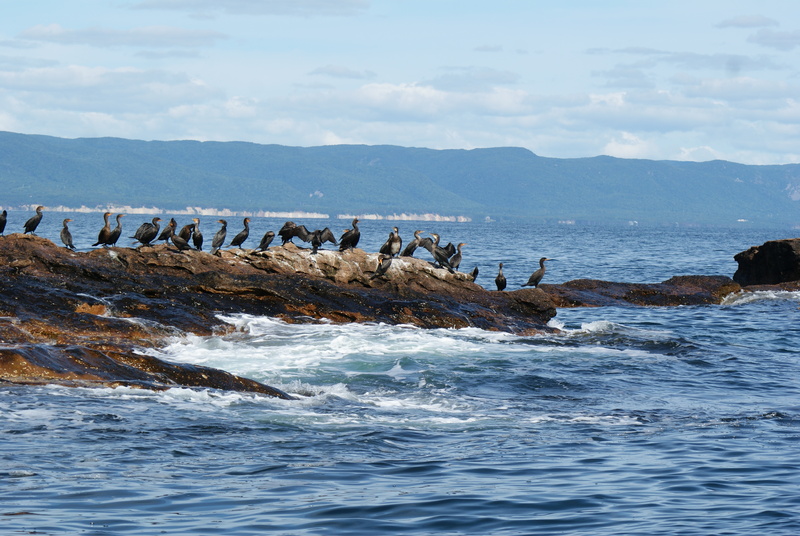 Cape Breton is also home to an enormous number of seabirds. The most prized species for birdwatchers or anyone for that matter is the Atlantic Puffin, or also referred to as the “Clown of the Sea”. 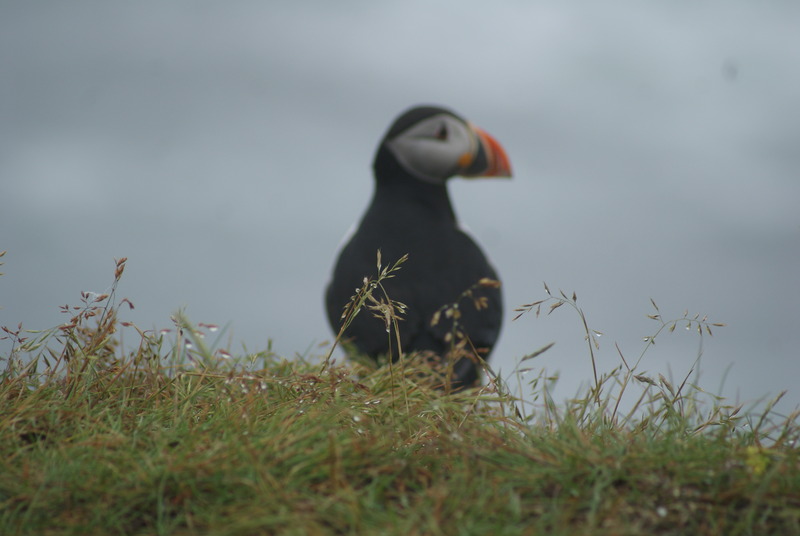 It is here that you can take a boat tour to see the largest colony of Puffins in Atlantic Canada outside of Newfoundland. Sharing the same real estate on the rightfully named “Bird Islands” are large numbers of Cormorants, Black Guillemot, Razorbills, Herring Gulls, Black Legged Kittiwakes and even Grey Seals. Cape Breton is also home to the largest population of Bald Eagles in North America outside of Alaska. As you circle your way around the winding Cabot Trail you will witness this symbolic bird gracefully soaring through the sky or perched high in the trees on watch for careless prey. 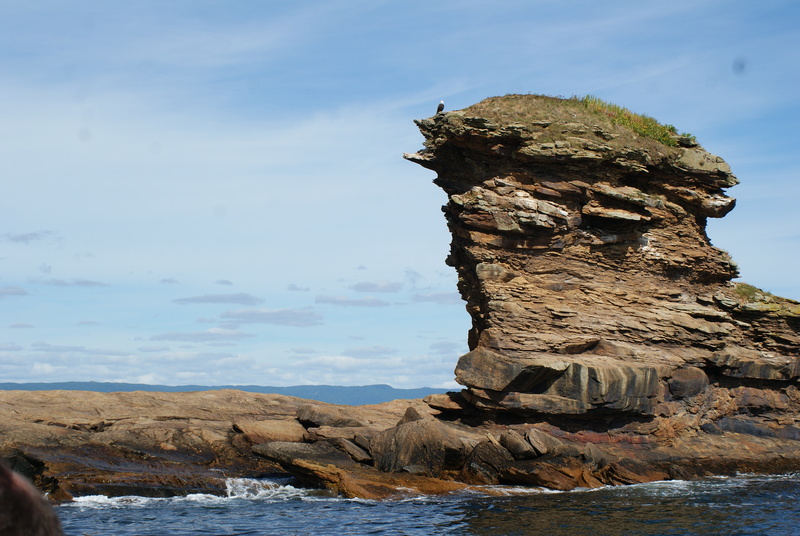 Cape Breton offers some the most challenging and rewarding hikes in all of Eastern Canada. There are trails that can be done by just about anyone of any age, and trails that take a number of days to complete that pass by mountains, waterfalls and endless coastal vistas. 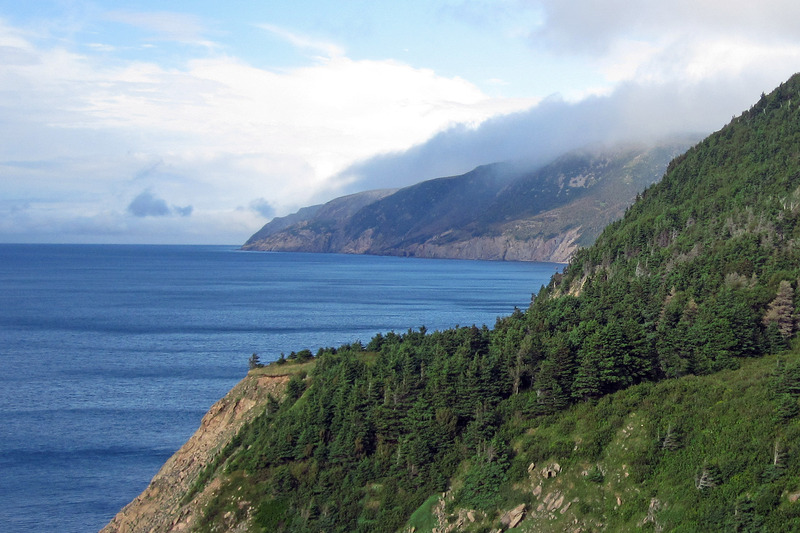 There are a number of designated trails in the National Park that allow you to explore the rugged coastline, wind through coastal forests and some that climb to the rooftop of Nova Scotia for a bird’s eye view of the valleys that lie far below. Which ever trail you decide to tackle you can be assured that you will be rewarded with inspiring beauty and memorial wildlife sightings. A large majority of residents from Cape Breton can trace back their ancestry to the old country of Scotland. In fact there is a healthy population of people here who still speak the Gaelic language. Attending the Gaelic Collage in St Ann’s Bay, Cape Breton, students spend their days learning to play traditional Scottish instruments such as the fiddle and bagpipes, and learn the Gaelic language which dates back to the 4th century in the old country. With much of our history and traditions being influenced by the Scots, it’s no wonder why we were given the name Nova Scotia, which was translated to English from the Latin language meaning “New Scotland”. So now that I have painted a picture for you, imagine yourself climbing a mountain, watching the waves crash over rugged sea stacks, encountering various seabirds, enormous whales, Canada’s 2nd largest land mammal, dancing the night away at a traditional Ceilidh or just taking time to sit back and relax, surrounding yourself with both rich culture and natural beauty. Well you can do all that on one of the world’s most beautiful islands, Cape Breton Island. So, what are you waiting for? Do yourself a favour and start making your travel plans to come experience this great island with us and marvel in Nova Scotia’s masterpiece, Cape Breton. Lofty mountains tower over a colorful sea.